(BPT) - If your vehicle is more to you than just a tool that gets you to and from work, then you’re always looking for new ways to maximize your drive time. As seasons change, your pursuits do as well which requires considerations about road conditions and weather when choosing the best equipment to get you where you want to go, without fail. So how do you make sure you can continue to chase the pursuits you love deep into the cold weather months? It starts with new tires, and if you’re in the market for some additional seasonal grip, you’re looking at all-season and all-terrain options. Now which one is right for you? To help you in your decision making, BFGoodrich(R) Tire experts Marcus Wilson and Dan Newsome offer an insider’s look at the differences between all-season and all-terrain tires. Use their advice to determine which one matches your pursuits to keep you enjoying your vehicle all season long. Wilson says consumers can think of all-season tires as a “jack of all trades” option and that an all-season tire will give you more performance without having to switch to a specialty tire. For sporty coupe and sedan vehicles, the new g-Force(TM) COMP-2(TM) A/S tire gives drivers the ability to accelerate faster, brake shorter and maintain control during any season. It’s great for wet, dry or light snow-covered roads. It also maintains grip in colder ambient temperatures (around 44 degrees Fahrenheit), even when no moisture is present on the road surface. Testing shows the tire stops up to 15 feet shorter on wet roads and 5 feet shorter on dry roads. “Wherever there’s a paved road, you can typically take an all-season ultra-high performance tire, like the new g-Force(TM) COMP-2(TM) A/S tire, and you enjoy it,” Wilson says. If your seasonal pursuits will take you off traditional paved roads, you’ll want a tough all-terrain tire according to Newsome, BFGoodrich Tires country marketing manager for Light Truck Tires. “For any outdoor activities that ignite your spirit of adventure, finding a good all-terrain tire is where your journey begins,” he says. Newsome adds that all-terrain tires are perfect for vehicles that have more horsepower and torque, and need the perfect tire for “adventure drives.” He says when BFGoodrich started developing the second generation of its race-proven and most advanced light truck tire ever, the new All-Terrain T/A(R) KO2 tire, they started by asking their customers what they wanted from an all-terrain tire. “It came down to the three T’s,” Newsome says. “Toughness, tread life and traction.” With this in mind, the new KO2 features a rugged durable tire that lasts twice as long on gravel roads and 15 percent longer on asphalt, according to off-road test results. 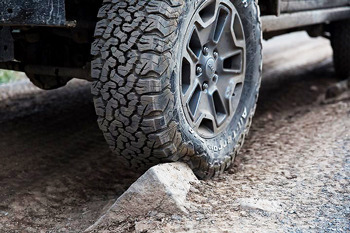 The tire also offers 10 percent greater traction in mud and 19 percent greater traction in snow, as well as reinforced sidewalls to help prevent a blowout. The KO2 also carries the RMA Severe Snow Rating (3 Peak Mountain Snowflake symbol) which indicates that it's an excellent choice for owners of pickups and other rugged vehicles to use on-road as well as off-road in winter conditions. When trying to determine which tires are best for you, keep this handy checklist in mind. You are driving in an environment where road conditions change frequently all year due to inclement weather. You want to enjoy driving confidence in rain, light snow and cold, in addition to dry pavement. You pursue driving passions where braking, accelerating and maintaining control matter. 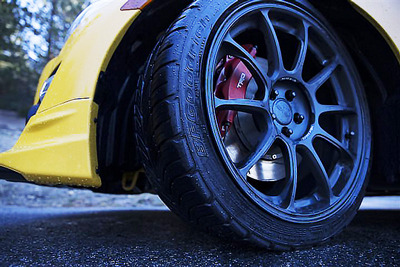 If you loathe the idea of abandoning your hobbies because the weather has changed, replacing your tires can help. Whether you need all-season or all-terrain tires depends on your pursuits, the amount of traction, toughness and performance you need, how you plan to use your vehicle and where you plan to go. Whichever you choose, your new tires will let you enjoy the changing weather in the way that works best for you and make the most of this season in your favorite machine.